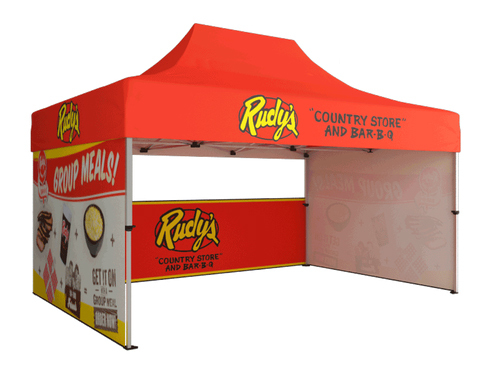 When it comes to 20' trade show displays, a custom graphic tension fabric display is your best choice! The Tru-Fit 20' Straight tradeshow display is part of our most popular line of portable displays. It is lighter, easier, and more seamless than any other 20' exhibit booth you have encountered. The entire display fits into a single hardshell transport case! Optional add-ons include choosing from a single or double-sided print and two additional LED lights. A double-sided print allows you to change your whole marketing message with a simple flip of the graphic. You will be prepared for any show. Be sure to check out our Tru-Fit Viper banner stands if you're looking to add extra marketing power to your trade show display!